Pier 40 - 89 King St. The Best San Francisco New Year’s Eve Party Out There! We’re not done yet, there’s a whole lot more to this epic San Francisco New Years Eve party than just sights. 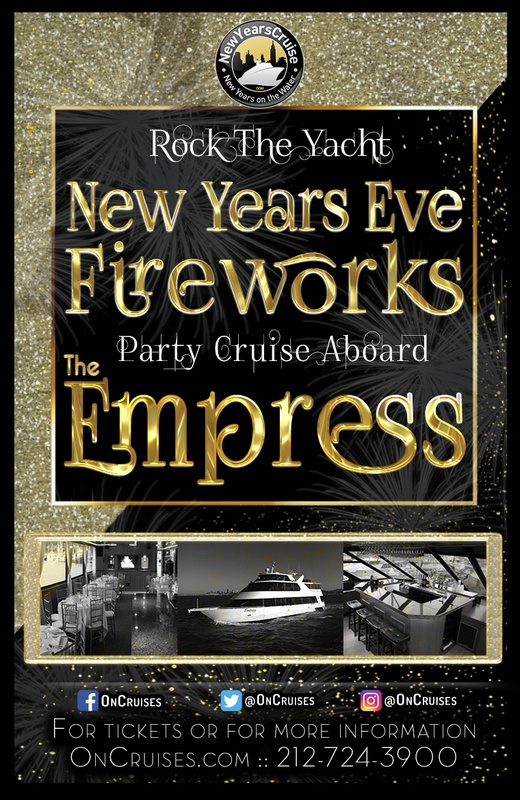 From the moment you step aboard, you’ll hear the sounds of our live DJ cutting it up with a mix of the latest and greatest hits, anthems, and bangers. Grab a tasty app from the tray passed hors d'oeuvres, then become acquainted with the bartender as you take advantage of the 3-hour premium open bar. We know how much you just love capturing memories on that phone of yours. Why not share those memories with the rest of us on Instagram, Twitter, and Facebook? We wanna see all those awesome pics and vids too! So you better not forget to tag us. While you’re at it, use hashtag #NYEOnTheBay so everyone knows where the real party's at. Golden Ticket Admission - End 2019 the right way, sailing on The Bay! Snack on tasty hors d'oeuvres, and enjoy three hours of Premium Open Bar.